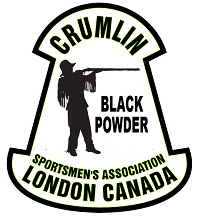 Black Powder has been around Crumlin for a long time and hosts a number of events and fun shoots all year round. The stick and ball folks have a rustic old shack out near the back of the property that houses a wood stove, a warm pot of tea and great conversation just about any Sunday of the year. The Black Powder section has both 25 and 50-yard ranges along with a number of shooting benches. For the longer shots the shooters move over to the rifle ranges. Pretty much anything that uses black powder is shot at Crumlin from muskets to flintlock pistols as well as anything in between. Black Powder is something you just have to experience. Please e-mail jimvivmoore@bell.net for information about The Ontario Muzzle Loading Association. Contact Barrie Dale at Cadillac3@execulink.com for more information.